In the society, human being live by the love, sharing, and sympathy. The Rich take care, share food, clothes, home and donate money for the Poor. “Life is a dream for the wise, a game for the pool, a comedy for the rich, a tragedy for the poor”. Life is too short, the god doesn’t give anyone all and also doesn’t take anyone off all. So please always love, share, help and protect the poor especially the children, the homeless and the old. We have a better life than them.”The leaves cover the torn leaves”. Therefore, there are a lot of charity organizations, Non profits or Fundraising having the programs such as raising fund for the poor, the children, sponsor the scholarship for the poor students, the highland children who have difficult conditions in facilities, education level or donating blood because of the community. Especially we now run a number of programs in Africa to address a broad range of issues, not only health but the social determinants of health: increased livelihood, training of healthcare professionals, and comprehensive rehabilitation of the disabled. Each year, also many volunteers go to the remote areas helping people to decorate homes, teach the children or contribute money, books, clothes for them. All of these precious actions are always a big encouragement for the poor to continue their life. “Give love and receive love”. For you or your small organization has a limited budget you completely can set up an outstanding and professional website without much effort. Using a Premium WordPress Theme is a good open source platform for you to practice your dream. There are also lots of free themes available if you don’t want to spend so much money on the website design. Please follow 10+ Best WordPress Themes for Non-profit, NGO, Charity and Fundraising 2018 below, you will pick the best one you want. Each template has enough essential functions and key features available for you to start. They are Beautiful Design, Easy to Use, Fully Responsive, Endless Customization, SEO Friendly and Supported Payment Gateways. The only thing you need to do is to waste $49 for purchasing a theme, all the rest we will care. Now please relax and enjoy this wonderful collection! 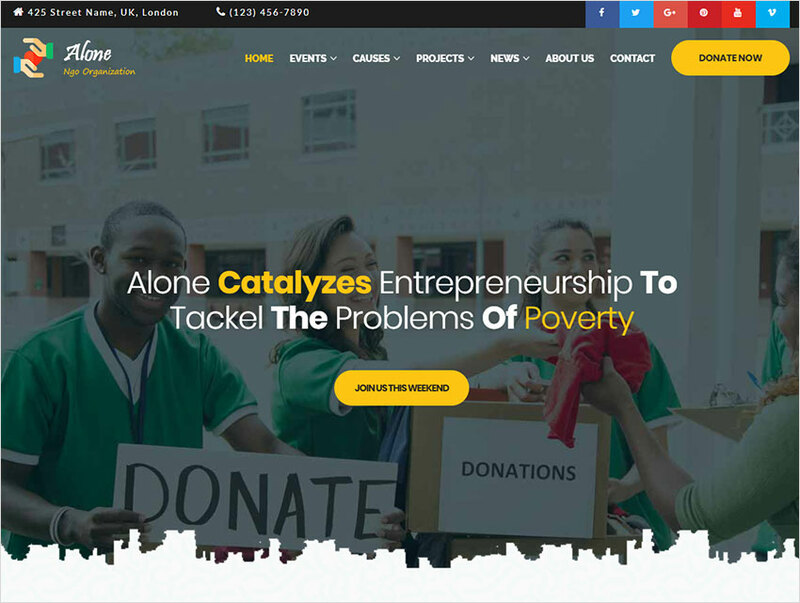 Alone is an amazing Charity Multipurpose Non-profit WordPress Theme with the very creative design which is quite flexible an can be used for different types of non-profit organizations, NGO, campaign project. The theme is outstanding with 12+ prebuild demo layouts, suitable for your idea. Besides Alone is compatible with WooCommerce plugin. You can get full control over the pages using the bundled powerful builder. It’s drag and drop editor allows you to create without any line of code. 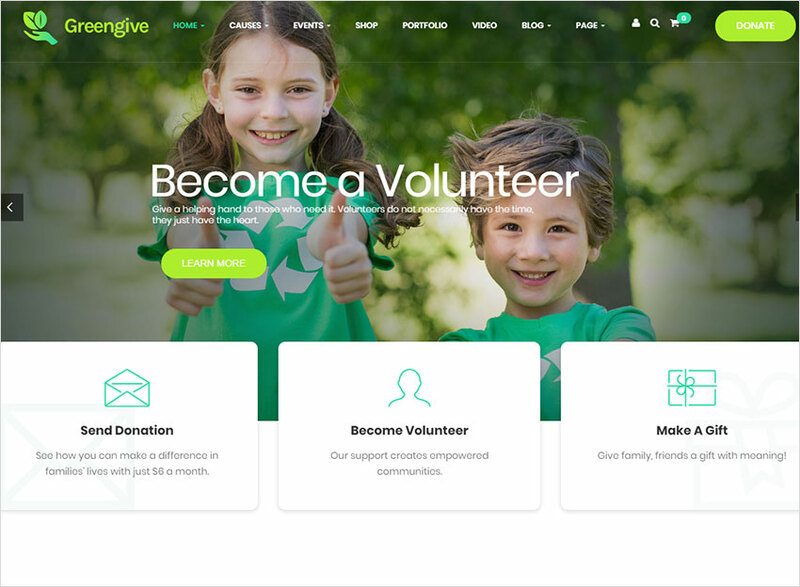 Greengive is perfect for Fundraising Website, Charity website, non-profit website, GlobalGiving, iCharity website, Charities aid Foundation, Child aid, World Wildlife Fund…We spent years in the field, identifying the most critical functions then include them in this theme. 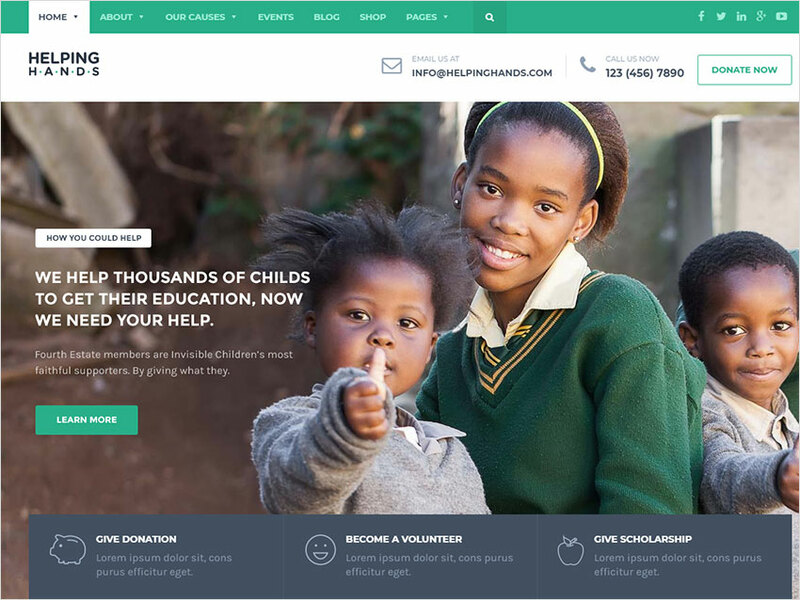 The primary purpose of this charity WordPress theme is to get more donors to charity projects, not to distract its users. Show off your projects & causes in the best way. Moreover, Greengive is stunning with 03+ unique homepages built with the fastest page builder that helps you to make your own beautiful page with no coding. Truly 1-click installation support you to duplicate demo on your server without efforts. 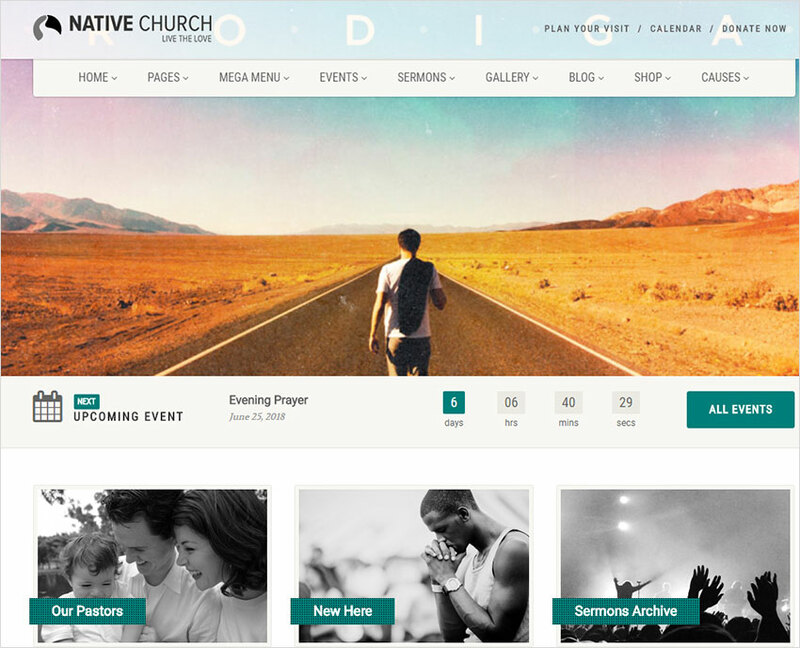 NativeChurch is a powerful WordPress Theme designed & developed for Church, Charity, Non-Profit and Religious Websites and comes in handy for Portfolio/Corporate Websites as well. This perfect theme comes with custom made Event Manager built in which offers to get a full functional events management with features like Event Registration, Recurring Events, Paid Events, User Management, Events Calendar. So no need to buy any additionally paid plugin, just purchase the theme and get started with creating your events. It is elegant with 10 predefined color schemes & easily add your own colors. 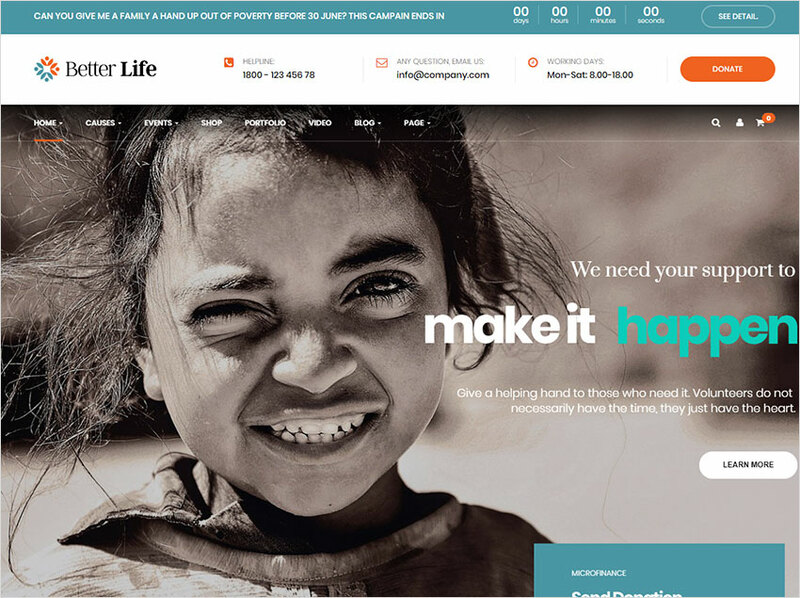 BetterLife is a WordPress Theme for Church and Charity website with creative design, dedicated Charity pages: Donation page, Course page, Events list, Video, etc and advanced tools to manage those pages: Donations, Events. 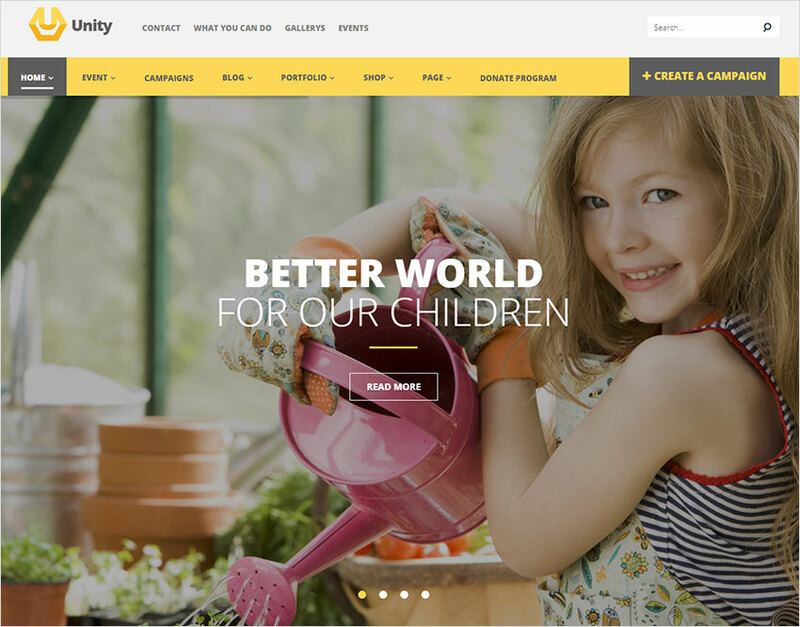 The Charity WordPress theme is built with the best WordPress page builder that is extremely easy to use and help you build super stunning pages in minutes, the page builder integrates tons of widgets that will save you lots of time to create content for your site. Candidate is a unique and professionally done WordPress theme that will be suitable for any nonprofit organization, such as charity, political campaign, church etc.. It includes all the needed tools such as Visual Content Composer, Visual Composer Form Builder, Revolution Slider, powerful settings panel that will help you to build a really good website. We created maximum different layouts so that you could select one you like OR create your own by mixing the plenty of setting options and blocks. 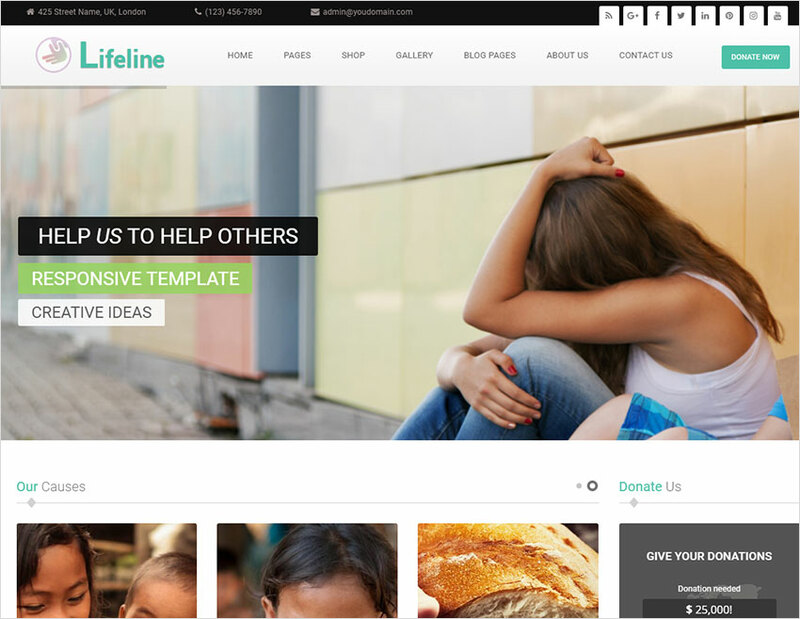 Lifeline is a clean, highly flexible and beautifully designed Charity WordPress Theme with fresh and mobile-friendly layouts. Any of the 13 unique Home Pages can be used for your nonprofit website, each of which follows the latest trends of 2018. 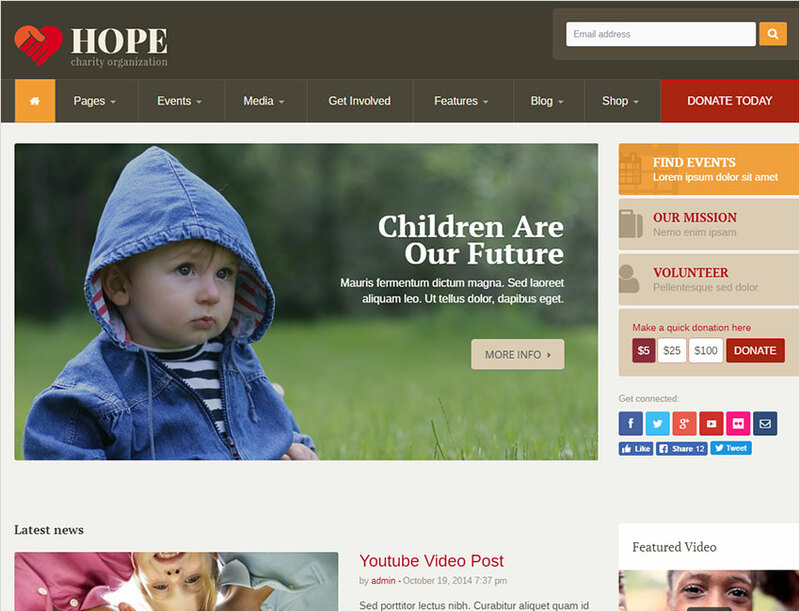 This nonprofit wp template has been successful in helping different fund raising organizations to showcase their content and get donations for the last 3 years. 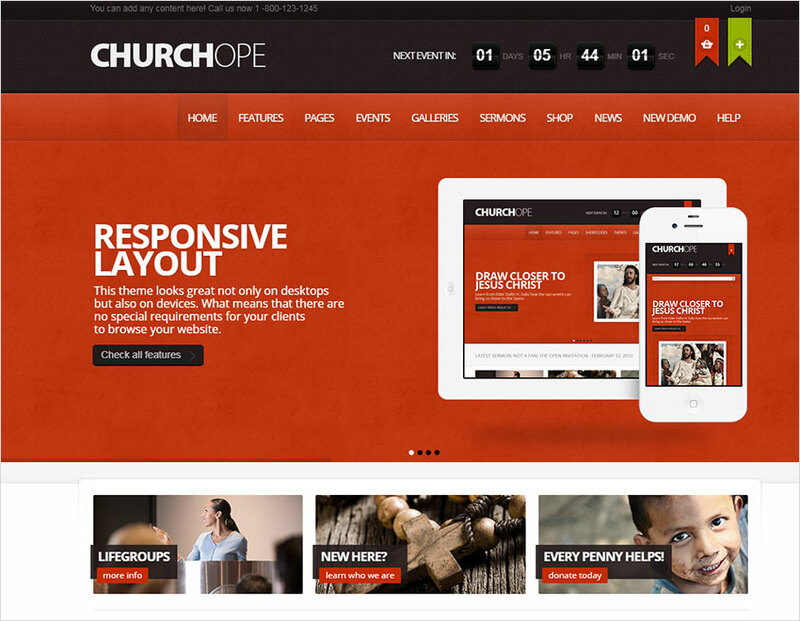 The WordPress Theme can be used for Fundraising, NGO, Charity or any other nonprofit project. Lifeline has earned the title of ‘trend setter’ for introducing many advance features that were never seen before in this niche. 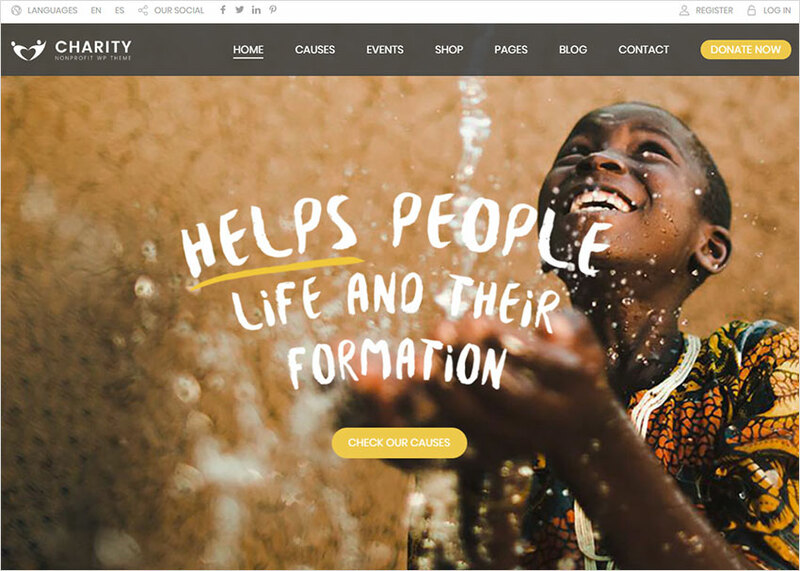 All in all, the list 10+ Best WordPress Themes for Non-profit, NGO, Charity and Fundraising 2018 will be a good beginning for you to start up your dream giving a small contribution to the society, the community. If you are cherishing the humanity ideas or plans, don’t hesitate to share us. We can give you the advises and boost you in a right way. Please take time and deploy your brainstorm.